Palm Beach Condo & HOA Expo at the Palm Beach County Convention Center on Wednesday, February 7th from 10:30 am to 3:00 pm. Come and check out the newest industry trends. “It is a pleasure to work with Lisa Ziemer and Conduu on our website here at Old Port Cove. They did an excellent job in creating a vibrant look as well as a user friendly tool for our residents to access.Also, Lisa is very responsive to adding updates as needed. Do you own a business, restaurant or shop? With our partner programs you can reach thousands of potential customers who live in your city for negligible costs. Advertise with CONDUU today! Create your business profiles, notify people about special products, services and events, increase your visibility, direct traffic to your website, or navigate customers directly to your location. 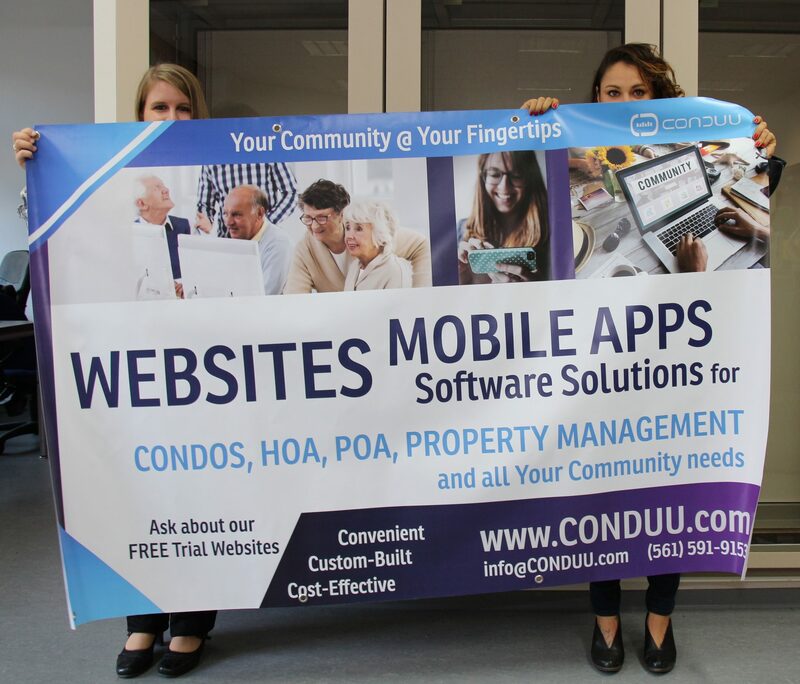 Conduu solutions are developed by IBA Technology Consultants, a globally operating software, communications and marketing company, specialized in developing mobile, web and software solutions for any size business. Whether you are looking for a new Website, App, Marketing or SEO strategy, our experts will take your business to the next level!